Here is a selection of recommended services which I use myself every day, or which I have used in the past and now recommend as great tools to utilise in any online business. I'm a big fan of ManageWP, with over 20 WordPress installations, this lets me access every one of them via one console, and I can also manage spam and all theme and plugin updates at one sitting. Gone are the days of manually logging into one site at a time and spending hours keeping everything updated. Essential if you have 3 or more WordPress installations. I use PrettyLinkPro almost daily, for cloaking affiliate links but also for enabling me to ‘pretty up' long and horrible looking URLs and – most importantly – to enable me to monitor the clicks on my web links, to see how well they're performing. 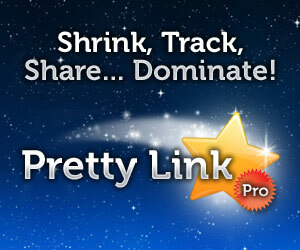 The free PrettyLink plugin for WordPress is excellent, but I use it so much, I upgraded to the Pro version. Better than bitly and the other link shorteners, because it uses your blog URL and therefore looks more professional and less spammy. I've been using Optimizepress for many years, firstly version 1 and now version 2. With only one or two exceptions, I use Optimizepress as the theme for all of my web sites, it's excellent. 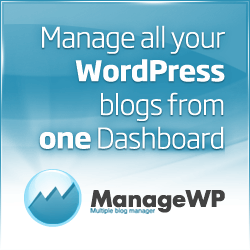 If you need a mobile optimised theme for your WordPress blog, this is the choice to make. I have also used it very heavily for membership sites too, it's my preferred tool for that, though I haven't yet used version 2 for that particular task. Siteground is my preferred web hosting service.It's particularly good for WordPress hosting.The support is excellent and there are some great features included too. I now use MailerLite for my own email marketing, even though I teach people how to use MailChimp. Mailchimp is by far the best known, but MailerLite has a lot of great features bolted in and works best for me as an author. 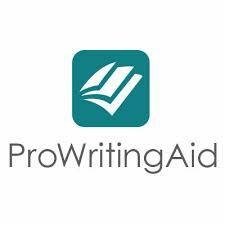 I use ProWriting Aid as an author, but if you have any type of manuscript that needs to be checked thoroughly, this is well worth taking out for a spin. Resell Rights Weekly is essential if you need a steady supply of online gifts to give away. It's also great if you need to educate yourself on any element of online marketing. Try a free account first – get a feel for it – but this service is jam-packed with useful digital stuff that you can use yourself or give away – or both! MyEcoverMaker.com is a recent discovery, but I absolutely love it! It's one of those services where you can instantly see the value when you use it. I have used it now for 10 of my own books, it has allowed me to generate covers in a wide variety of formats. it, I tend to process my covers in large batches, upgrading for 1 month at a time. WebinarJam is the online marketer's best way to harness Google Hangouts. It's a wonderful service, packed full of superb marketing features. It's made by the same people who created Evergreen Business System, so when it came out, I bought it straight away. They keep adding cool functionality too, so if you're interested in webinars, please check this out. Note: This page includes affiliate links for which I receive a commission if you go on to make a purchase. See the Clixeo Ltd disclosure policy for more information.